Jane Keon has written hundreds of letters. Letters to the state and federal environmental officials. To her local St. Louis government and to the officials of Velsicol, the chemical company that left the small mid-Michigan city after it created one of the nation’s most notorious Superfund sites. 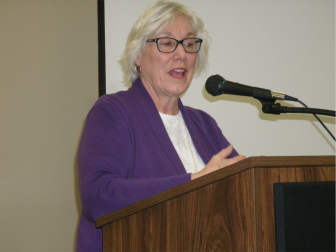 Keon is the former president of the community advisory group – commonly called the CAG – which EPA established to assist the cleanup of the factory site that sits on the Pine River in the middle of St. Louis, about 20 miles south of Mount Pleasant. Most CAGs across the country let the EPA give them information and maybe ask a few questions, but that’s just about it, Keon said. The CAG’s oversight has created friction with the EPA officials charged with cleaning up the site. 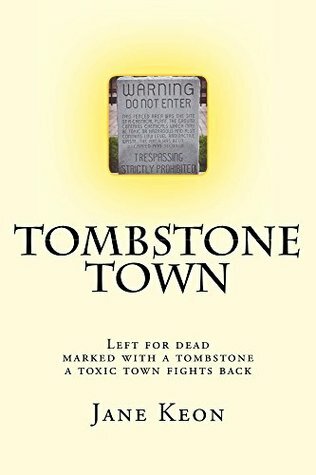 As Keon describes in her 2015 book that chronicles the cleanup process, “Tombstone Town,” often officials would ignore their input and talk straight to local leaders. Velsicol manufactured chemicals in St. Louis that killed insects, prevented fire and supplemented cattle feed. In 1973, a packaging error mixed a fire retardant with feed that was fed to cattle all over the state. That error poisoned thousands of animals and the people who ate them. In 1978, the plant was closed and demolition of the site began. The initial solution to keeping the contaminants from leaching into the ground was to bury the site and cap it with concrete. That failed. 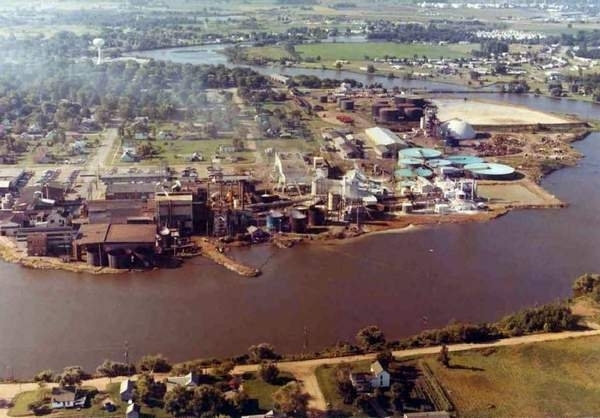 The chemicals eventually made their way into the river that flows through the city, the Pine River. The initial group was made up of eight or nine people with different backgrounds. Some had experience working with the state Department of Environmental Quality while others worked at Consumers Energy. Others had experience in law and applying for grants to clean up the city. Lorenz, who has also written a book on his experience with the group called “Civic Empowerment in an Age of Corporate Greed,” points to the persistence of the group as a factor in its success. It didn’t just write letters, he said. It applied for funds for more cleanups, consulted experts on how to run their own tests and collaborated with other groups. Jane Keon’s book, “Tombstone Town,” chronicles an activist group working to clean a small mid-Michigan town. It is available here for $12.99. The advisory group now goes by the name: the Pine River Superfund Citizen Task Force. Along with that name change has been a broadening of the area it wants to clean. That redefinition has translated into results. Nine separate cleanups have been completed since 1999. Improvements have been made to injection wells and creeks that lead into the Pine River. The pesticide DDT was excavated from soil in athletic fields and residential yards. And more help is on the way. Projects to fix a burn pit and a dam on the Pine River will be completed in 2021. A larger cleanup project on the 52-acre chemical site is expected to be completed by 2036. There are also ongoing health studies that analyze the PBB – the fire retardant that got mixed with the animal feed – and DDT contamination of residents. Hall, a lifelong resident of St. Louis, had his blood tested in 2013. He has PBB levels seven times higher than a chemical worker’s average, and 16 times higher than the farm families in the area, he said. He lost his thyroid in 2008 to cancer. His brother died of cancer at age 24 and his daughter at age 2. While his daughter never came into direct contact with those chemicals, those health studies are beginning to examine if the damage from chemicals like PBB can be passed to younger generations. Even now Keon, who stepped down as president in 2013 and is now the group’s secretary, works 40 hours a week. She doesn’t know why she still works as much as she does. Perhaps it’s her Midwestern roots. Former MSU sociology professor Marilyn Aronoff told her years ago that Michiganders have a determined spirit, Keon said. When natives bought land in the wilderness, it was their hardy genetic composition that kept them moving forward. Her book is available here for $12.99.